At the dawn of the 19th century the stakes for American expansion were incalculably high. Even after the purchase of the Louisiana Territory, Spain coveted that land and sought to retain it. With war expected at any moment, Jefferson played a game of strategy, putting on the ground the only Americans he could: a cadre of explorers who finally annexed it through courageous exploration. President Jefferson most famously recruited Meriwether Lewis and William Clark, but at the same time other teams did the same work in places where it was even more crucial. William Dunbar, George Hunter, Thomas Freeman, Peter Custis, and Zebulon Pike were all dispatched on urgent missions to map the frontier and keep a steady correspondence with Washington about their findings. They weren't always well-matched-with each other and certainly not with a Spanish army of a thousand soldiers or more. These tensions threatened to undermine Jefferson's goals for the country, leaving the United States in danger of losing its foothold in the West. 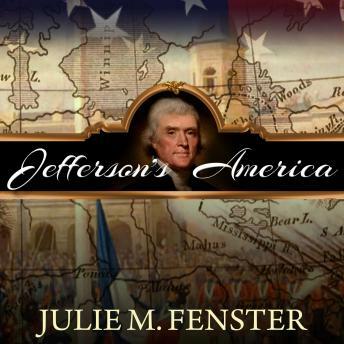 Jefferson's America rediscovers the robust and often harrowing action from these seminal expeditions and illuminates the president's vision for a continental America.